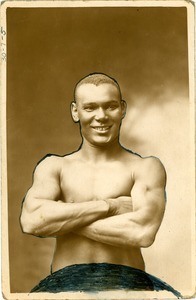 Half-length portrait of a young boxer; photograph masked for publication. 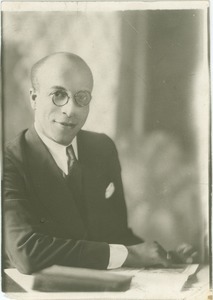 New York (State) - Half-length portrait of young man in glasses, suit jacket, and tie. 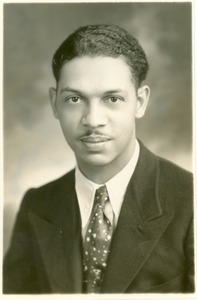 Caption: Walter T. Dixon, M.A., Economics and Education, Columbia. 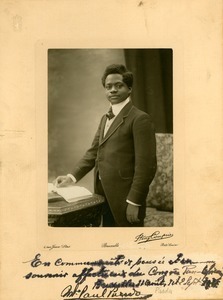 Brussels (Belgium) - Portrait of Paul Panda in suit jacket, vest, and tie standing before table with books in front of backdrop. Partial caption: souvenir affectueux du Congrès Pan-Africain, Bruxelles. 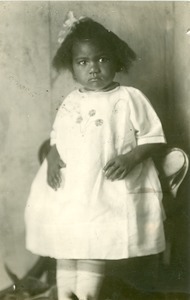 Full-length portrait of young girl. Caption: Gibbons School baby. 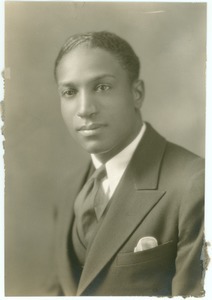 Photo by H. W. Brown. Entered October 1925. 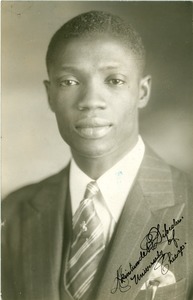 Half-length portrait in three quarter profile of young man in suit jacket and tie. Caption: V.F. Bell, 29 W. College St., Iowa City, Iowa. 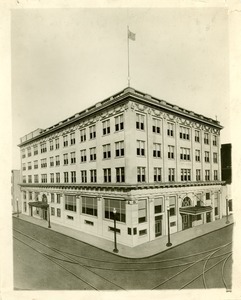 Nashville (Tenn.) - Photographic print of an artist's rendering of the facade of Morris Memorial Building. Caption: Morris Memorial Building, Dr. A. M. Townsend, secy, Sunday School Publishing Board Dept., National Baptist Convention U.S.A., McKissack & McKissack, Architects, Nashville, Tennessee. Erected at a cost of $650,000.00. Photographer's stamp on back. 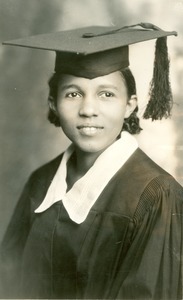 Tennessee - half-length portrait in three quarter profile of young woman in academic gown and cap. Caption: Miss Edna Arter, Knoxville College, Knoxville, Tenn. Ranking student. New York (N.Y.) - Half-length portrait of W. E. B. 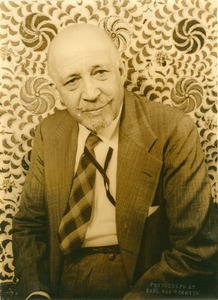 Du Bois taken by writer and photographer Carl Van Vechten.